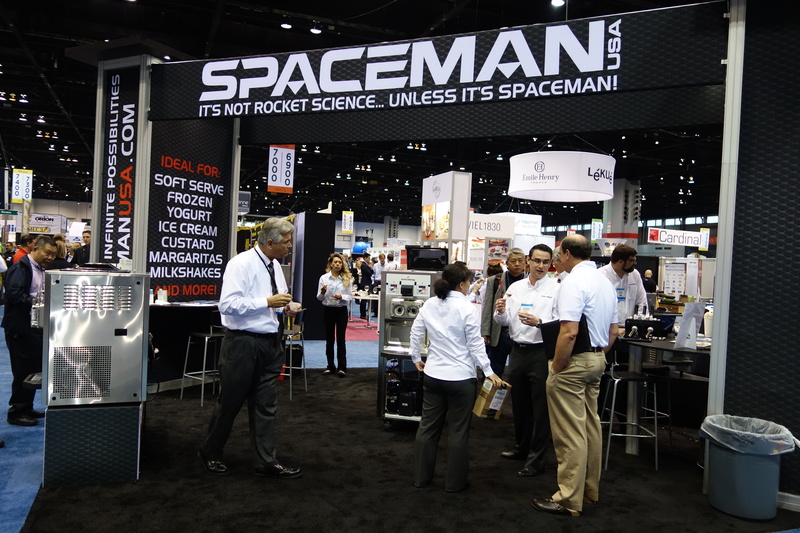 Spaceman Colorado is the exclusive supplier of Spaceman soft serve machines in Colorado and the Rockies. The Spaceman soft serve and frozen beverage machine line for Colorado is handled directly by Forte Supply and Spaceman USA, corporate, which is located in Boulder, CO.
Spaceman Company offers over 50 unique model combinations of soft serve ice cream machines, which means we will always find the best ice cream machine to meet your stores needs! Whether you are a restaurant offering soft serve as a desert option with only one flavor, a busy self serve frozen yogurt store, or a drive through operation requiring high output, Spaceman Colorado will have the perfect soft serve machine for you! Spaceman Colorado has been the premier source for soft serve machines in Colorado and the Rockies since 2010. We offer a 1 year part warranty, 1 year labor, and 5 year compressor warranty on all soft serve machines in Colorado! Our experienced technical service staff is on call seven days a week to troubleshoot, answer questions, or help service your machine with the industries quickest average response time! For all soft serve machines in Colorado, parts and service will be handled from our staff and available same day. We stock all parts and machines in our 14,000 square foot Boulder facilities. We also keep soft serve machines in Colorado in stock for a hot swap program, which means we can swap out your machine to get you up and running ASAP! Please contact us to find out more about how your business can benefit from the high profits of soft serve frozen yogurt and ice cream!